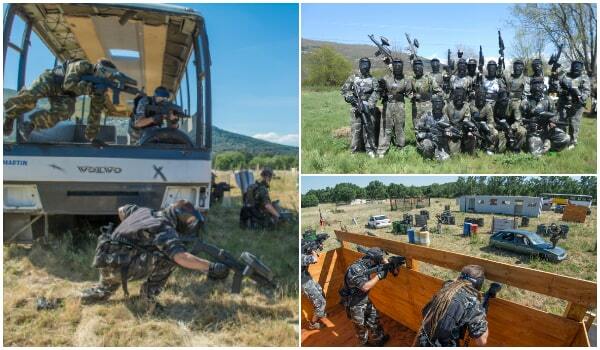 Did you know that Paintball is one of the activities for companies that achieve the best results for employees seeking to carry out Team Building activities in Madrid? In Gran Paintball Madrid we have worked with the most prestigious companies in Spain (Santander, Repsol, Día, Carrefour, IE University, Halcón Viajes, TVE, PriceWaterHouse Coopers, Viajes Barceló, Meliá, Airbus, Oracle, Iberia, Citroen, etc. 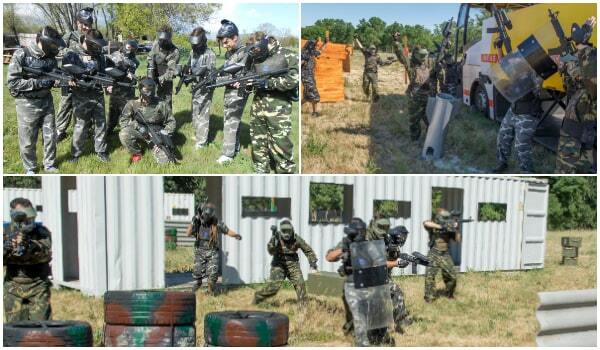 ), carrying out Team Building days in nature in which fun, teamwork and group cohesion predominate. Team Building can be defined as the series of activities or group dynamics that companies perform to create or foster teamwork, peer ties, or specific skills within an organization, usually in the form of events. The activities are designed specifically for each client, and are usually carried out in places away from the workplace, where workers will be freed from daily stress and relate to their colleagues in a more relaxed and authentic way, helping us to identify patterns of behavior and encourage skills. These activities, which are often practiced in nature in the form of conventions or business meetings, are booming, and companies are increasingly devoting more of their time and budget to these fun teamwork dynamics, both for young people and adults. Our mission is to help companies create a better work environment, strengthen worker ownership, and improve productivity by making them work together more efficiently. Group dynamics for teamwork and leadership are usually carried out through sports practices, where, as in elite sports, the role of each individual is part of a team strategy to achieve a common goal for all. When done outdoors, team building in nature (what is commonly called “Outdoor Training”), encourages workers to get to know each other better in an atmosphere of adventure, challenge, and fun, increasing companionship and trust in the team. Imagine that in your workplace, workers simply perform their duties, but interact little with each other. Now we take them out of that environment, and we take them to a place in nature, where they are going to do adventure activities for a few hours. Those people who don’t have to relate to each other at work any more than is strictly necessary, must now work together to overcome the challenges we pose to them. What do we get out of this? Workers know each other better, and the fact that they have cooperated to overcome a challenge makes them feel more united. In other words, groups achieve greater unity by successfully overcoming a challenge through teamwork. Living an adventure with a lot of adrenaline, where uncertainty has predominated and the objective has finally been achieved, creates a feeling of belonging to the group. Having lived an exciting and, above all, a different experience, the bonds of proximity between workers increase and remain in time.